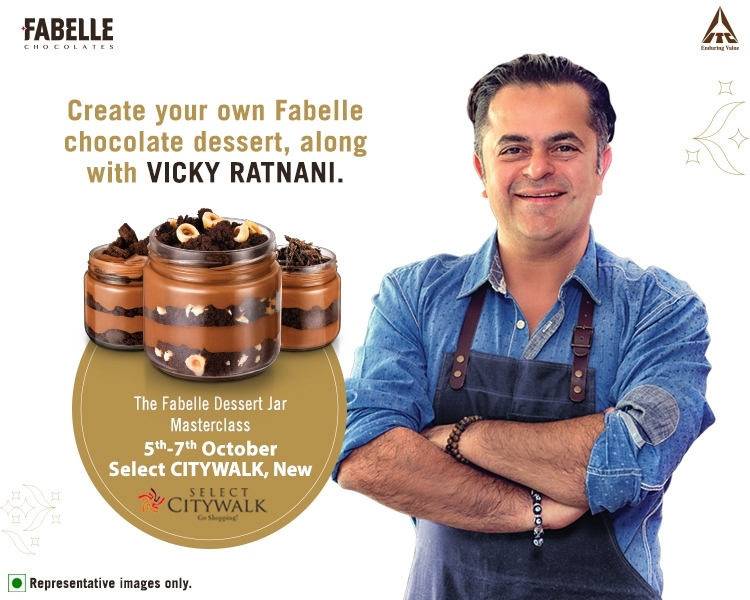 Come to celebrate the exquisite taste of Fabelle chocolate dessert and learn the art of making desserts in The Fabelle Dessert Jar Masterclass at Select CITYWALK from 5th-7th October. The renowned chef Vicky Ratnani will take you for a sweet artsy ride with his unique creations. So join us for the sweetest occasion ever and make the edible beyond incredible!